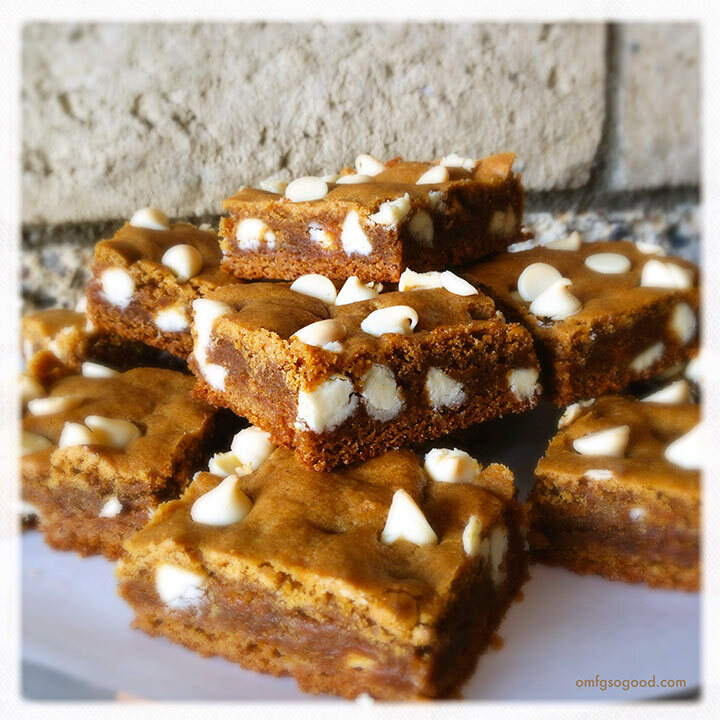 soft & chewy gingerbread bars | omfg. so good. It’s official. Cookie loving is in my blood. Every holiday season I remember my Dad making (and eating) multiple batches of Snickerdoodles, Aunt Lynn had the Lemon Bar honed to perfection, and Gramma Jean won my heart with her classic soft and chewy molasses cookies that were literally as big as my wee noggin. Mmmmm. There’s nothing quite like the smell of a warm molasses cookie. Am I right, or am I right? 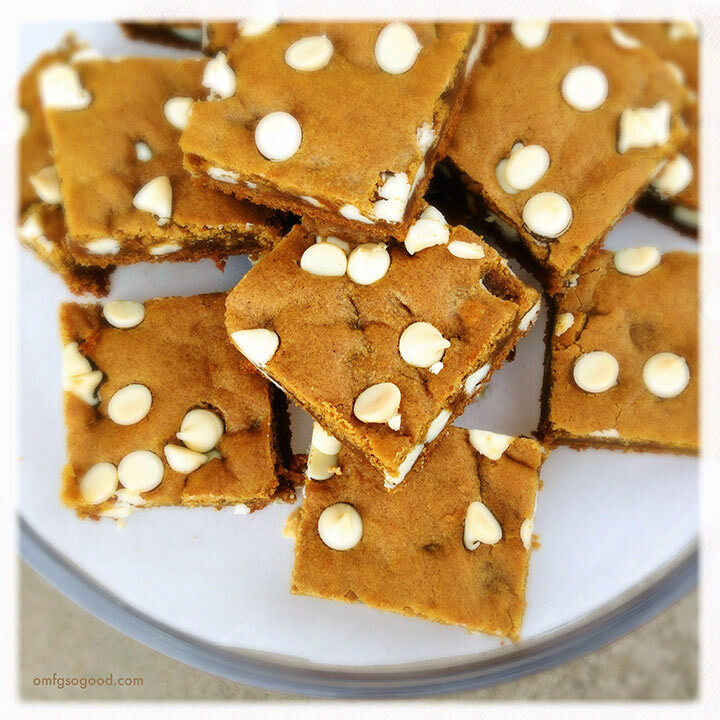 These soft and chewy Gingerbread Bars are my official tribute to my dear old Gramma Jean. The smell while they were baking immediately transported me back to cold winter days in Upstate NY. All cozy in my flannel nightgown, wearing a tiny nightcap that I only donned at her house, where we wore them together. At the time I didn’t realize she wore hers because she was suffering from cancer and she was trying to hide her condition, and pain, from me while I was there. She did a good job. All I knew was that I loved her, she loved me, and when I was there we were both happy. And for those times I’m eternally thankful. Preheat the oven to 350 degrees. Line a 9 x 13″ baking pan with parchment paper, leaving some extra on the sides to use as lifting handles after the bars are baked, and set aside. In the mixing bowl of a stand mixer, cream together the sugar, shortening and softened butter until light and fluffy. Add the eggs, one at a time, and mix to combine. Add the vanilla and molasses and mix to combine. In a separate bowl, sift together the flour, baking soda, salt, cinnamon, ginger and cloves. Gradually add this mixture to the wet ingredients, and mix until just combined. Fold in the white chocolate and spread the batter evenly (it will be somewhat thick) into the prepared pan. Bake in the preheated oven for 20 – 22 minutes, or until set but deflated in the middle (this will ensure they’re chewy after they cool). Cool the bars in the pan on a wire rack, then lift them out of the pan and cut them into squares. These are delicious on their own, even more so served warm with a scoop of vanilla ice cream and a drizzle of pure maple syrup. Woah these look dangerously good. Thanks so much for sharing!